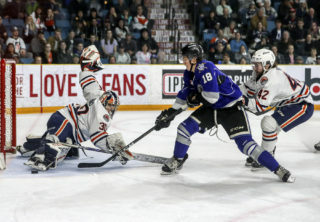 Jermaine Loewen scored the game winning goal with 28.7 seconds left to help the Blazers to a 4-3 win. 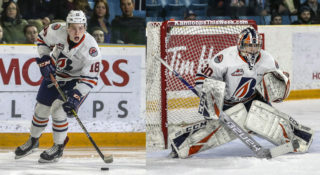 Garrett Pilon, Carson Denomie and Ondrej Vala had the other Blazer goals. Dylan Ferguson earned the win with 31 saves in goal. Click here for Highlights & Recap. The Silvertips scored the winning goal in the final few minutes of the third period to lift them to a 3-1 win. Nolan Kneen had the goal for the Blazers and Dylan Ferguson took the loss in goal with 21 saves. Click here for Highlights & Recap. Jermaine Loewen scored the go-ahead goal midway through the third period to give the Blazers a 2-1 win over Seattle. Max Palaga got the win in goal with 25 saves and Brodi Stuart also had a goal in the win. Click here for Highlights & Recap. 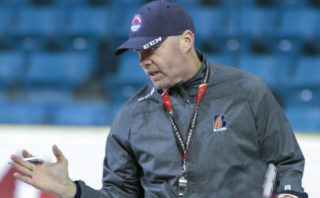 The Blazers were robbed of their teddy bear goal on a disallowed goal and fell 4-0 to the Kootenay Ice in their third game in as many nights. Dylan Ferguson took the loss in goal with 20 saves. Click here for Highlights & Recap. 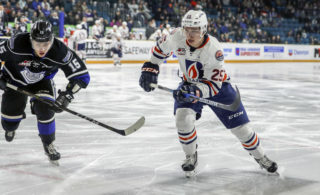 The Kamloops Blazers will hit the road for their six-game East Division road trip. There next home game will be on Friday, December 29th when they host the Kelowna Rockets. 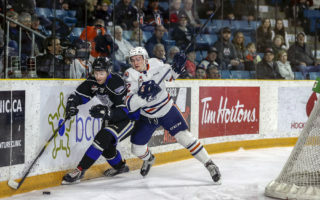 Kamloops Blazers first year forward Brodi Stuart has been named the WHL Rookie of the Month for November. The 17-year-old recorded 12 points in 10 games during the month. To watch some of Stuart’s highlights, follow this link.